Here is the complete gallery of all the wonderful little quilts that will be sold to raise money for the Make A Wish Foundation. They are small, only 12″X16″, but have an amazing amount of detail and creativity included. But first they are traveling across Canada, sure hope the show comes nearby, I’d love to see them in person. It was such an honour to be included with so many great Canadian quilters, all winners from Canadian Quilt Association’s Quilt Shows. I’d love to buy the first one pictured, a sweet little one entitled Whirlygig from a BC quilter. Which one is your favourite? 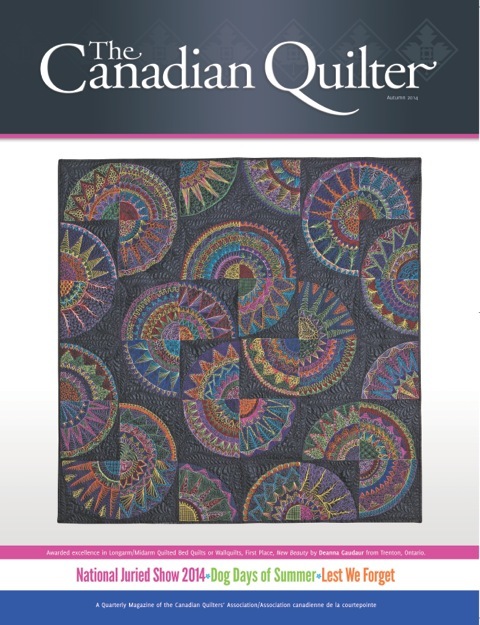 Background Info: The Canadian Quilters Association is hitting the road with 2 traveling quilt shows, visiting most of the provinces and territories between January and May 2015 before arriving at Quilt Canada in Lethbridge AB June 4-6, 2015. Thirty-six 12″X16″ quilts will be based on the theme “It’s Time for Colour” and will be made by award-winners from the Canadian National Juried Show. The quilts will be sold for $200, with proceeds going to The Children’s Wish Foundation of Canada, and a set of greeting cards will also be available to purchase. I was honoured to be invited to join and immediately started brainstorming about what I could do that would fit the theme. A colour wheel came to mind, but the size was a bit hard to work with, and since I wanted to use only primary and secondary colours, it wasn’t working out. 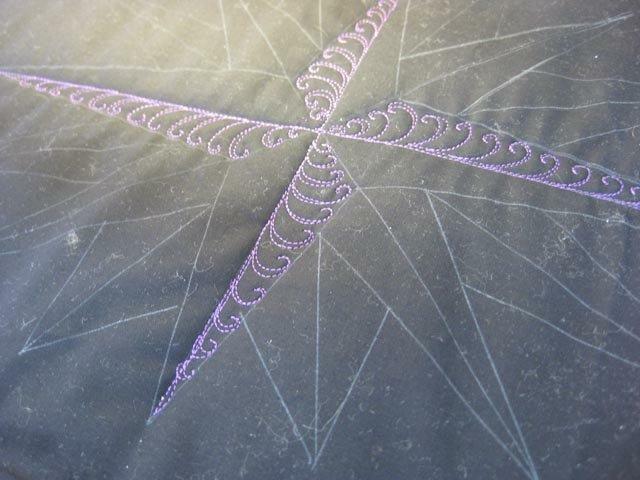 I’ve been attracted to the Mariner’s Compass, after attempting to piece 2 small works over the years. Working with a good friend of mine, Jana Mead, and a copy of Mariner’s Compass Quilts by Judy Mathieson, we set to work developing a plan. 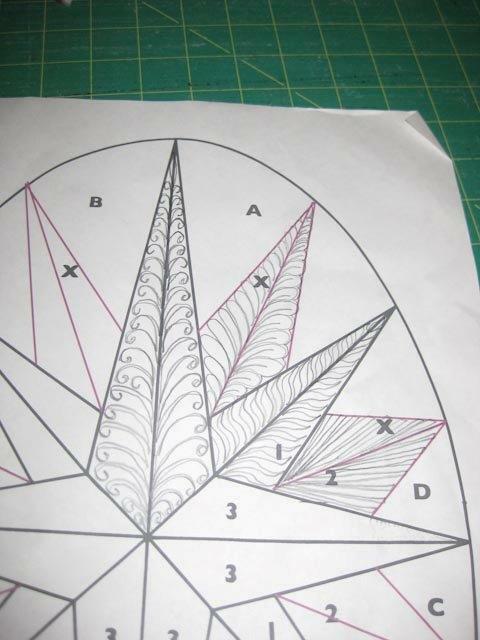 Once home, armed with Judy’s pattern, my husband helped to resize the small oval and add extra “arms” and I started playing with quilting patterns. Next came using a makeshift light box to trace the pattern using white pencil on the Black Kona Cotton, auditioning the embroidery threads and choosing the backing fabric. 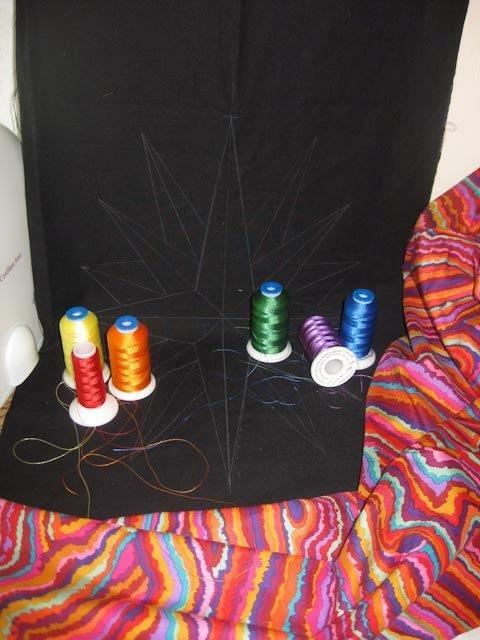 Kaffe Fassett’s fabric is certainly colourful! Finally the deadline approached so I finally got down to the business of quilting. I had traced 2 compasses, so that I could do a sample first and jumped in with the first “cool” colour, not being brave enough to start with the “hot” ones! Burying the threads took longer than actually doing the quilting! 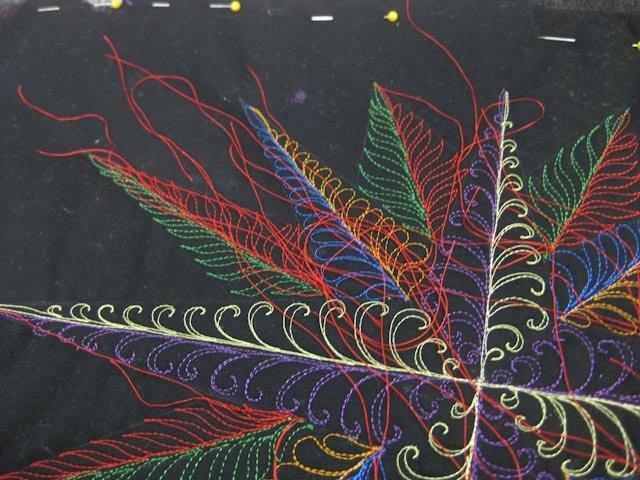 And I decided that I liked my sample well enough….after all, if it looks too perfect then it might just be thought to be done by embroidery machine, or computerized designs. No, doing the freehand dance at a long arm machine is much more relaxing than all the designing in the world. Presenting “Compass”, completed with tiny loopy stippling, and a single fold binding. Off it went to BC to join with all the other little quilts and begin its travels across Canada. 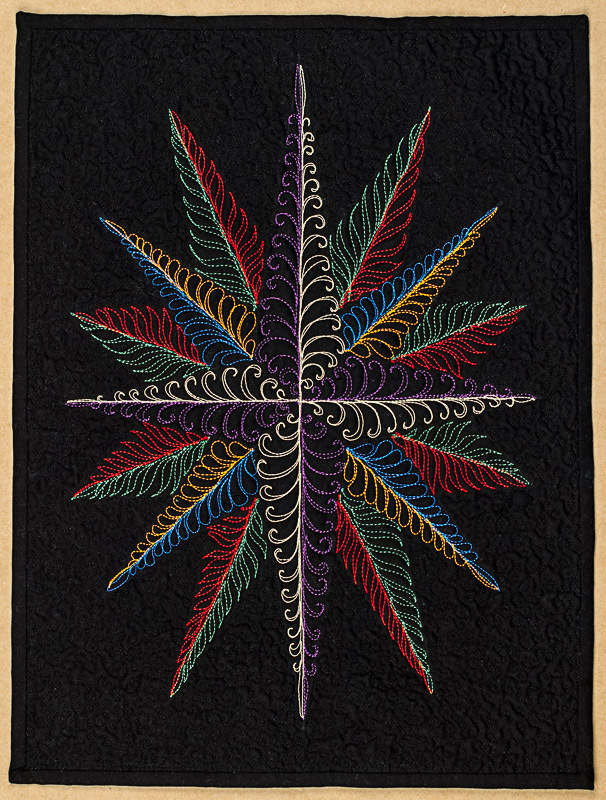 Wish I could go along, but perhaps to Lethbridge for Quilt Canada 2015? 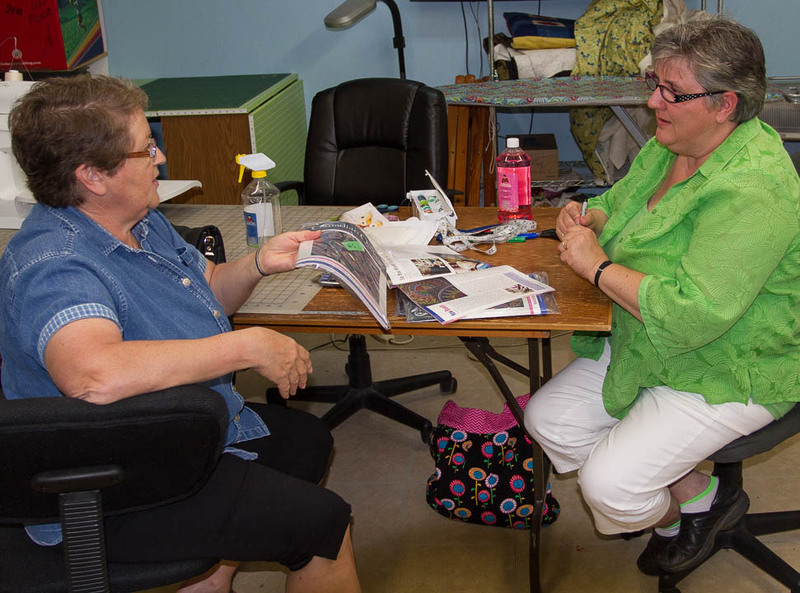 Kind of a funny thing when my local quilt shop Pine Ridge Knit and Sew invited me to come and sign the magazine for customers. Awesome Laura ordered 20 copies and I had a fun couple of hours chatting with the ladies who came. 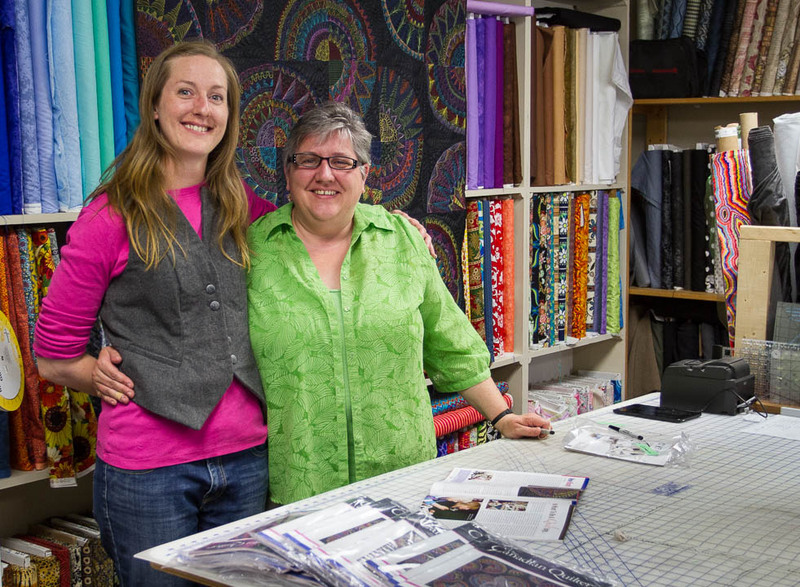 Pine Ridge is an awesome shop, with a newly expanded fabric section. I might even teach classes there in the future, Awesome Laura and I are talking. 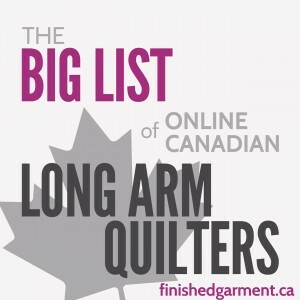 The respected sewing blog website The Finished Garment has posted a list of long-arm quilters across Canada, and I’m on the list! The website has lots of great resources you might want to check out. Speaking of lists, now that my Royal Conservatory music history exam is behind me, I am quilting full time and I have finished most of the quilts on my waiting list. This would be a great time for you to get your quilt in for a quick turn-around. The Canadian Quilter’s Association’s annual, nation-wide, juried show was held at Brock University in St. Catherines, Ontario. I submitted my colourful whole-cloth quilt and the jury accepted it. 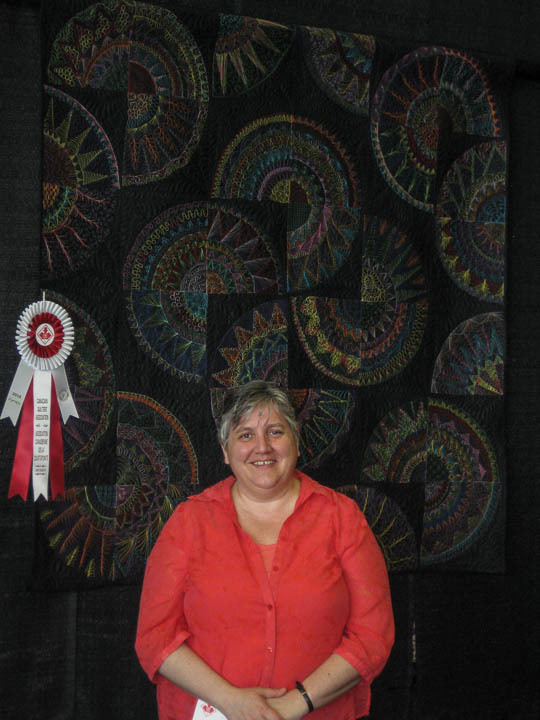 I was thrilled to get accepted into Canada’s only national juried quilt show. I was totally blown away to arrive at the show and find a first place ribbon hanging beside my quilt! Here is the link to see the quilt on the Association’s website. 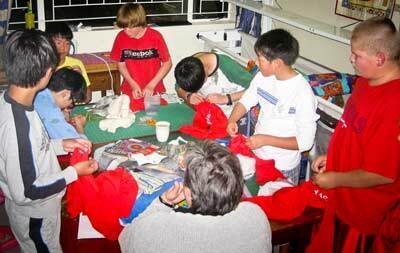 from my busy quilting room in Kenya that was filled with teenage boys and muddy feet, cups of chai and the perpetual Game of Settlers. Here I am in Trenton, Ontario and although my space is quickly filling up with quilts to be done and sewing machines to play with, it is a bit lonely at times. Feel free to drop in, especially if you are a missonary kid in need of some home cooked food.